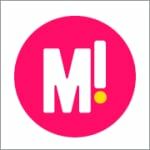 Mamamia mourns the loss of Stella Young. Stella Young has passed away at age 32. 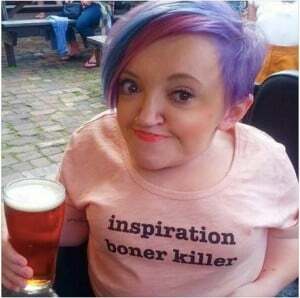 Stella Young has died at the age of 32. There is great sadness in these words by Mamamia today. It is with tears in our eyes that we tell our readers of the death of one of our favourites, of one of our friends, Stella Young. Comedian, disability activist, journalist, author and broadcaster Stella Young has died at the age of 32 from an aneurism. Her sudden death on Saturday evening has left her family and friends devastated. “With great sadness we acknowledge the passing of Stella Young, our much-loved and irreplaceable daughter and sister,” Stella’s family said in a statement. “Stella passed away on Saturday evening, unexpectedly, but in no pain. “A private funeral will take place soon, followed by a public event in Melbourne, with more details to come. At the age of 32, Stella Young had spent her short life challenging the way we think about people with disabilities. She was born in Stawell in Western Victoria in 1982. Her parents, Greg, a butcher and record shop owner and Lynne, a hairdresser told her that she was their “easiest child” because until she got her first chair she just stayed where she was put. Stella Young was born with Osteogenesis Imperfecta, a condition she has described as “really dodgy bones”. But the focus of her life’s work has not been her dodgy bones; in fact, Stella strived to make people think about disability. Stella has said that the day she was born her parents were told that she was probably going to die. She not just survived, but thrived with her edgy, talented mind dazzling the world. In a recent piece for Fairfax Media, Stella wrote how at the age of seventeen her life changed. “At seventeen, something shifted. To borrow from Janis Ian, I learned the truth at seventeen. That I was not wrong for the world I live in. The world I live in was not yet right for me. …..I stopped unconsciously apologising for taking up space. I’m sure you can scarcely imagine that now; a world where disabled people, women in particular, are made to feel like we’re not really entitled to inhabit public spaces. Stella studied journalism at Deakin in Geelong before moving to Melbourne where she did a diploma of education at Melbourne University. It was here that she realised the world did not know how to cater for people with disabilities. Stella worked for a brief time in public programs at Melbourne Museum, where she taught kids about bugs and dinosaurs. She said that working with children showed her how much the world had to learn. But Stella refused to remain invisible. “I guess I like to challenge what people think they know about disability. People take one look at me and think they know things about my life based on stereotypes – they might assume I don’t have a partner, or a job,” she told the Victorian Women’s Trust earlier this year. 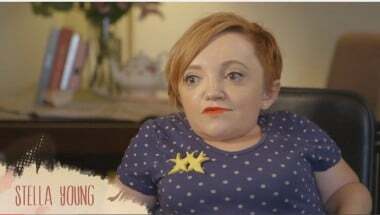 Stella Young’s advocacy has included a membership of the Victorian Disability Advisory Council, Ministerial Advisory Council for the Department of Victorian communities and Women With Disabilities Victoria. She hosted eight seasons of Australia’s first disability culture program No Limits, aired on Channel 31 and community stations across the country and has written countless articles for numerous publications including Mamamia. Stella’s impressive mind was opened to the world with her Ted Talk “ I’m not your inspiration than you very much,” which went viral. But it was comedy that drew the public to Stella Young. A review of her Melbourne International Comedy Show Tales from the Crip by The Sydney Morning Herald called her “ rude, clever and hilarious”. Stella’s talent and insightful wit dazzled audiences and earlier this year she was a two-time state finalist in the Melbourne International Comedy Festival’s Raw Comedy competition. The world is a lesser place today in that we have lost Stella. But it is a greater place in that we had her, albeit for a brief 32 years, even at all. The greatness Stella has taught us is that women and men with disabilities are strong and powerful. She taught us to change the way we think about disabled people. She made us question how we spoke, how we thought and through her words she changed our actions. She (to the delight of many of us) made many angry as she challenged their thinking. She stirred the very pot that was crying out to be stirred. And she stirred it well. And most of all, oh so very many many times, Stella Young made us laugh. 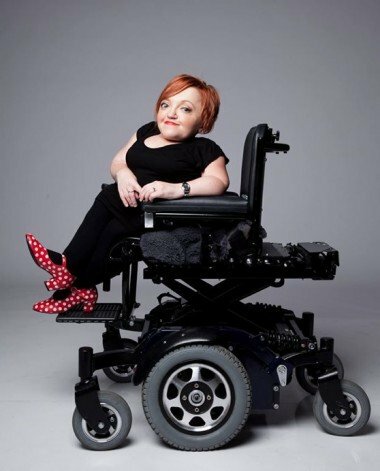 Stella Young wrote for The Sydney Morning Herald, “To think of how far we’ve come in my first thirty years makes me pretty bloody excited about the next fifty…. As we remember Stella and laugh and cry and mourn her lets remember that promise she made to herself. Out thoughts, prayers and tears are with Stella Young’s mother Lynne, her father Greg, and her sisters. Tea with Mamamia: We talk to Stella Young. Stella Young and Mia on Disability. “My body is not considered sexual, no matter what I do with it”. “I’m sick and it’s not my job to inspire you”.